The ACA is proud to be able to help local paddling clubs and organizations improve their waterways and make this world a better place to paddle! Through funds provided by L.L. Bean, the ACA's Club Fostered Stewardship (CFS) Program has provided nearly $160,000 to over 175 different stewardship initiatives since its inception. Kayak New Mexico builds courage, confidence, and character, one stroke at a time, through adaptive paddling programs for people with physical, developmental, or emotional disabilities or life-threatening medical conditions. Kayak New Mexico, Inc. and its volunteers will continue its project of cleaning up the Rio Grande watershed. This is their fourth year of cleaning up different parts of the Rio Grande watershed. This year they will be cleaning up one lake on the Rio Grande watershed and one lake on the Rio Chama watershed. Both lakes have trash (bottles, 2x4’s, and tires along their shores). The US Army Corps of Engineers will provide motorized boats for the collection of trash from shore by kayakers and canoeists (where the motorized boats can’t reach). The US Army Corps of Engineers will also provide trash disposal. Kayak New Mexico, Inc. will provide recycling disposal. The US Army Corps of Engineers will also provide free weekend camping for the volunteers. Paddlers 4 Conservation(P4C) is a 501 (c) (3) not-for profit organization organized in 2015 dedicated to providing opportunities for canoeing/kayaking while providing educational opportunities to discuss the importance of water quality, riverine habitat restoration, and community based volunteer opportunities. Our mission is to restore and enhance the Tippecanoe River and Kosciusko County lakes and streams through hands on environmental stewardship and educational opportunities to preserve our lakes and streams for the future. Founded in 2015, P4C now has more than 150 club members actively involved in river cleanup projects, organized family float trips, and numerous other educational programs involving paddling sports and aquatic based stewardship projects. The 2018 P4C Tippecanoe River Stewardship Campaign is a volunteer based project aimed at recruiting new paddling members to promote the Tippecanoe River by engaging students from the Warsaw, Indiana Washington Elementary Science, Technology, Engineering, and Math (STEM Academy). Our project will start at the headwaters of the Tippecanoe River downstream of Lake Tippecanoe located near Oswego, Indiana and will continue through Kosciusko County downstream to the Indiana State Road 19 bridge located south of Etna Green, Indiana. The project will involve more than 30 miles of river cleanup, environmentally sensitive woody debris removal, educational programming on water quality (including measurements for water temperature, dissolved oxygen, turbidity, measurements of biotic integrity, and introduce students and their parents to the joys of paddling one of the most beautiful rivers in all of Indiana. Friends of the Rappahannock (FOR) is a 501(c)(3) non-profit conservation organization formed in 1985 by citizens concerned with the health of the Rappahannock River. Originally focused on the river where it flows through Fredericksburg, Virginia, FOR now works to conserve the entire watershed of the Rappahannock, from its headwaters in the Blue Ridge Mountains to its terminus where it flows into the Chesapeake Bay. FOR has initiated Nuestro Rappahannock (Our Rappahannock), a stewardship effort bringing messages about river safety and conservation concepts to the watershed’s growing Spanish-speaking population. The project will begin March 24, 2018, with a public outreach effort at FOR’s 8th annual Wild & Scenic Film Festival in Warsaw, Va. A public access area cleanup will occur April 21 during Earth Day celebrations at Old Mill Park. Another public access area cleanup will occur in June at Falmouth Beach. The printed materials will be distributed at each event, as well as other events during summer 2018. The Illinois Paddling Council is an ACA Paddle America Club. Its mission is to advocate for and promote paddling in the state of Illinois. Our volunteers adopt a section of Water Trails in Illinois, and much like adopt a highway, monitor, maintain (clean up), advocate, and report on conditions on their reach of Water Trail. These cleanups are on strategic waterways were we are looking to both build on existing community relationships but also build new ones. It is through these partnerships that we will engage the most volunteers and make the largest impact. Dates to Be Determined: Sangamon River in Central IL (50+ miles of water trail across multiple counties). October 15: Inaugural Illinois Water Trail Congress—Networking meeting of disparate groups working on water trails, access development, stewardship of Illinois paddle-able waterways. Campsite on the Missisquoi River (VT) and the Errol Rapids access on the Androscoggin River (NH). We Love Clean Rivers, Inc. is a 501(c)3 non-profit organization dedicated to cleaning high use rivers by mobilizing the river recreation community in partnership with local environmental, recreation, and educational organizations. By coordinating with kayakers, rafters, anglers, scuba divers, and tubers to clean up waterways, We Love Clean Rivers broadens engagement with river restoration activities, increases the recreation community’s understanding of threats to watershed health, and provides unique opportunities (drizzled with fun) for the community to give back to the incredible resources we use year-round. Turning restoration into recreation through an on-water, down-river clean up on the lower Clackamas River in Clackamas County, Oregon. 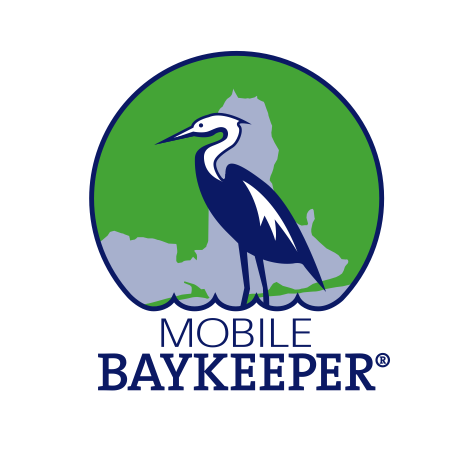 Mobile Baykeeper's mission is to provide citizens a means to protect the beauty, health and heritage of the Mobile Bay Watershed and our coastal communities. With more than 4,000 members, we advocate for environmental protection and restoration because we believe that is the key to a thriving economy, healthy community and high quality of life. Mobile Baykeeper achieves our mission by taking a systematic approach to address environmental concerns. Mobile Baykeeper is restoring the historically and ecologically important One Mile Creek, a creek that receives significant urban litter from our downtown festivities like Mardi Gras. To do this, we are hosting a series of water-based community cleanups that utilize volunteers onboard canoes and kayaks to actively remove the litter that has accumulated along the creek banks. Florida Paddling Trails Association is the steward of all of Florida's water trails. Their mission is to develop water trails, protect the environment along the trails, and be a resource and voice for paddlers. The Florida Paddling Trails Association has over 40 designated paddling trails on various rivers and streams and the impressive 1,515-mile Florida Circumnavigational Saltwater Paddling Trail (CT). The Florida Paddling Trails Association has helped the Stewardship Department of the ACA widen our water trails database and provide information about Florida's waterways to all paddlers. Towards that goal, FPTA has developed a Paddlers Environmental Toolkit Training (PETT) program that seeks to educate paddlers about the environments they travel through, how to best interact with wildlife and habitats, and empower them to serve as waterway stewards. The stewardship component includes information and resources on how to lead cleanups, report certain environmental issues to appropriate agencies, and be the “eyes and ears” of Florida’s paddling trails. FPTA is collaborating with the Florida Master Naturalist Program to offer a three-hour curriculum indoors, followed by lunch, and then a short paddle on a nearby waterway where paddlers are challenged to put into practice what they’ve learned in the classroom. Friends of the Chicago River improves and protects the Chicago River system for people, plants and animals. We achieve this mission through education and outreach programs, public policy and planning, and on-the-ground projects. The Chicago River spans 156 miles through Chicago and its surrounding communities. At the time of Friends’ founding in 1979, canoeing on the neglected, heavily polluted river was unheard of. Friends started the first organized canoeing program on the river in the early 1990s. In those years, the program consisted of little more than a single guide and a few boats, entering the river wherever the bank was accessible. Today, we introduce over 2,000 people to the Chicago River through canoeing including individuals and families as well as school, civic, and corporate groups. A core of experienced, enthusiastic volunteers leads the way during daytime and occasionally full moon paddles. Saturday, May 12, 2018, is Friends’ 26th Chicago River Day. This beloved annual volunteer day has an immediate impact and collectively brings about long-term improvements in the health of the Chicago River. Spanning the river’s 156-mile system with over 60 locations to choose from, people of all ages have multiple ways to get involved, including by removing litter from the river in canoes. In 2017, 2,000 volunteers participated. In 2018, we expect 2,500 volunteers to attend. Rivers for Change is an all-volunteer 501(c)(3) nonprofit organization of passionate river enthusiasts dedicated to changing the way people think about and interact with water. Through adventure, conservation and education we work to connect individuals and communities to rivers and promote source to sea literacy. We envision a world where people and communities are active stewards of river systems with a holistic understanding of their interconnectedness and interdependence. This project is proposed to support day 4 and 5 of a 6-day exploration of the Truckee river with a paddling team of fourteen middle school student ambassadors. The student ambassador team represents 7 different schools located within four school districts in the Truckee River Watershed. The exploration will begin in the headwaters of the Truckee river above Lake Tahoe, California and end at its terminus at the inland sea of Pyramid Lake, Nevada. Each day includes an environmental learning component focused on efforts by local river stewards to protect and restore ecological values of the Truckee River. The Meadows Center for Water and the Environment is an educational and research center at Texas State University in San Marcos, Texas committed to sustainable water solutions. We are located at the historic Spring Lake which is formed by over 200 artesian springs and home to eight endangered species. We engage over 100,000 visitors annually in our outdoor education programs at Spring Lake- 32,000 of which are local school children. We offer recreational and instructional programs in kayaking and standup paddle boarding as part of our commitment to connecting people to water and recreation. The program will include three separate dates where volunteers will assist in removing non-native vegetation from Spring Lake via sit-on-top kayaks. The Viking Canoe Club's purpose is to promote and encourage the recreational navigation of wild and scenic rivers by canoe, kayak and other self-powered craft; promote conservation of wild and scenic rivers by practicing conservation as a club, by cooperating with local and national conservation organizations, and by communicating the club’s concerns to governmental authorities and to the public; develop paddling skills through instruction, training and participation in canoeing and kayak events, and promote appreciation for the beauty of our wild and scenic river resources and for the recreational value of wilderness cruising, camping , canoe racing and whitewater sports. The Viking Canoe Club, Sup Kentucky, Sheltowee Trace Outfitters & the Kentucky Environmental Foundation are partnering with local McCreary County officials and Cumberland Falls State Park to perform a clean up at the put in of the Cumberland Below the Falls run.